Both are by the same author. Instead of reading the mathematics modelling guide I bought at the same bookstore (Popular), I tore through these two mystery novels overnight. 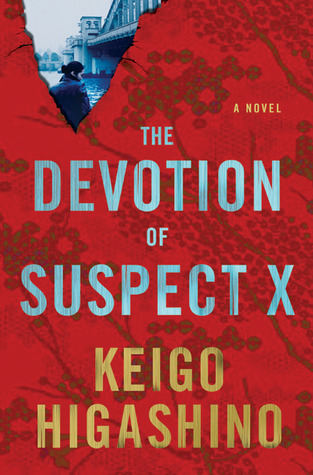 I started with The Devotion of Suspect X, because this was the book that made him famous as a thriller/suspense/whodunnit writer. The crime happens early in the book, and we get to know who is the culprit, but it's what follows that grips the reader. Don't start, you won't be able to stop. Like the first book, this story is set in Tokyo. There is also a murder, and we kind of know who is the murderer, so we just have to figure it out. The bookstores try to sell him as a Japanese Stieg Larsson which it isn't really, not even 10% of, he's more like Agatha Christie actually; nevertheless just enjoy it as a quick and satisfying read. Last Saturday I was at United Square. At the fountain deck basement, I bought some clothes from a temporary stall run by two sisters; the two ladies were very warm and friendly and we soon got chatting comfortably. One of them, Mdm Cindy Ng, told me that her daughter is launching a new bookazine in November, and kindly gave me a copy. be movement is a bookazine, I am not sure what that means but holding it, it feels as solid as a book and the content is made up of articles written in a magazine style, by people as diverse as entrepreneurs, musicians and reporters, and published at regular intervals like, well, magazines. The stories are not your typical magazine fluff, but are thoughtful and well written, many from a first-person narrative or in interview format. They inspire, affirm, or challenge one's self, yet without being preachy or earnest. Cindy was very excited to inform me that Noam Chomsky contributed an article, but that was actually not something positive for me, because Noam Chomsky writes serious books that my husband reads and then regurgitates to me in order to "internalise" them. Fortunately, I am happy to report that the article, with the ponderous title of "Academic Freedom and the Corporatization of Universities", was quite readable even for someone with my low attention span. I have not finished reading the entire thing, but have been dipping into it in between appointments or daily tasks; it is better this way, the stories are best savoured one at a time. be movement is magazine that I would not hesitate to reach out for the next time I see it in a bookstore. Its entire worthy content is also printed on lovely, thick paper, with nice fonts and stunning photography. The social enterprise spirit behind it is, certainly, very admirable too. Another feature to note- there are no advertisements, which sounds incredibly brave to me. It retails in Singapore for $18.90. Alternatively, mobile subscriptions are a reasonable at USD 5.99 per issue, or USD 19.99 for a year's membership (4 issues). It is not usual to see projects like this in Singapore, do support it if you can.